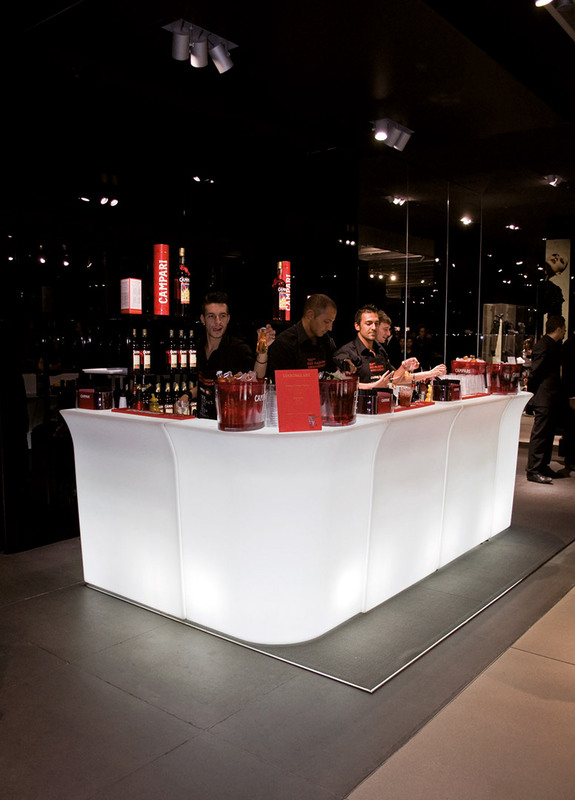 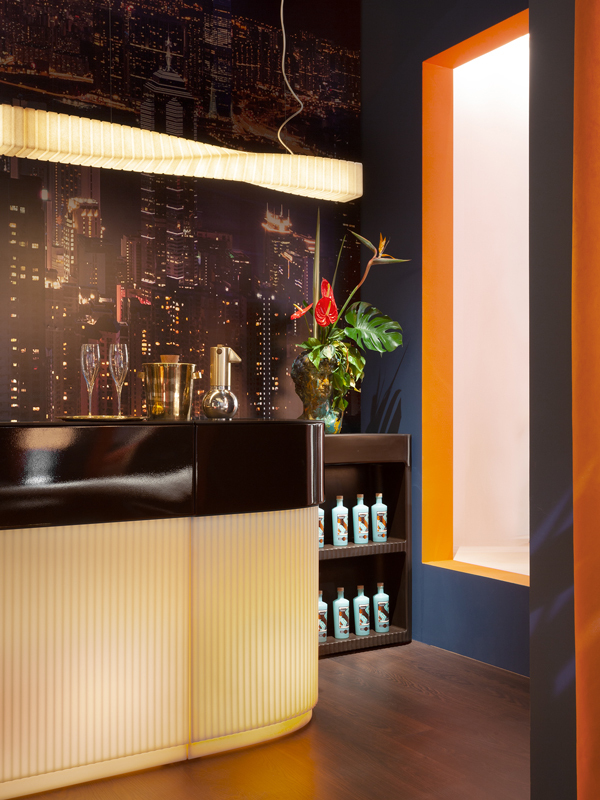 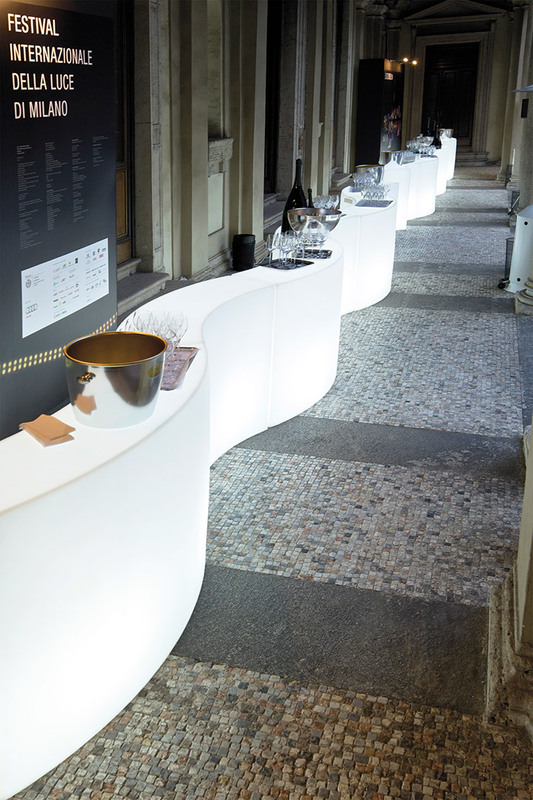 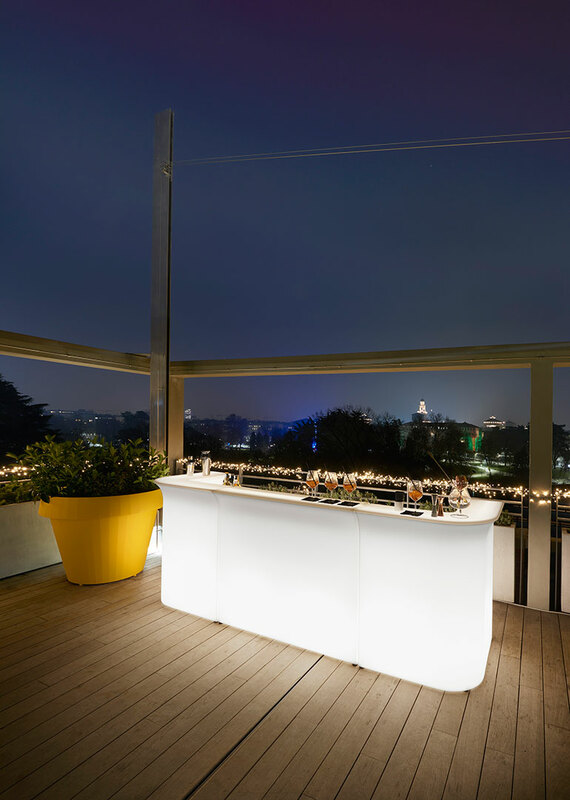 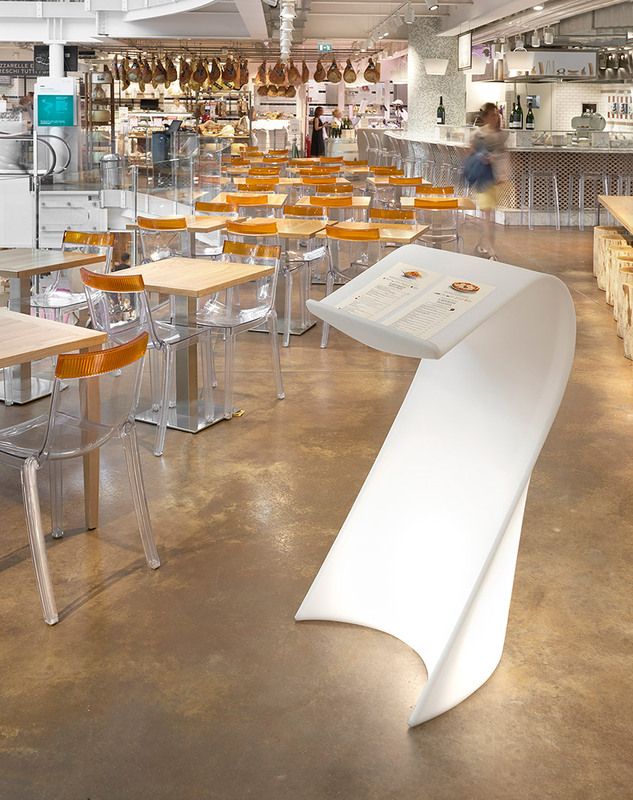 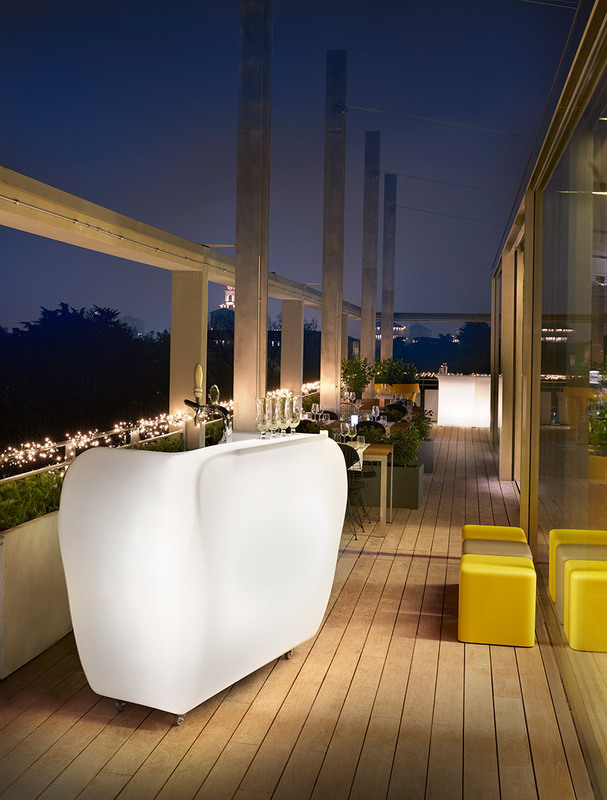 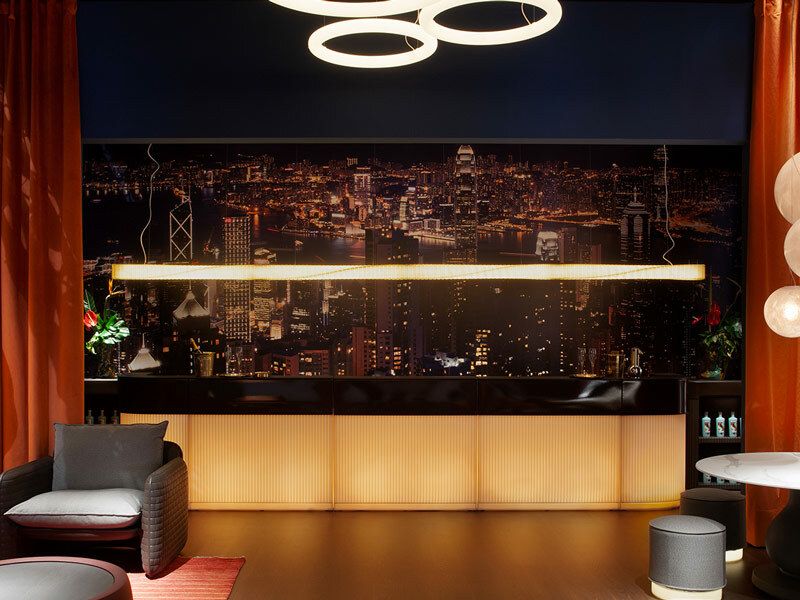 Roller Bar, designed by Gerd Van Cauteren, is a luminous bar counter, functional and contemporary. 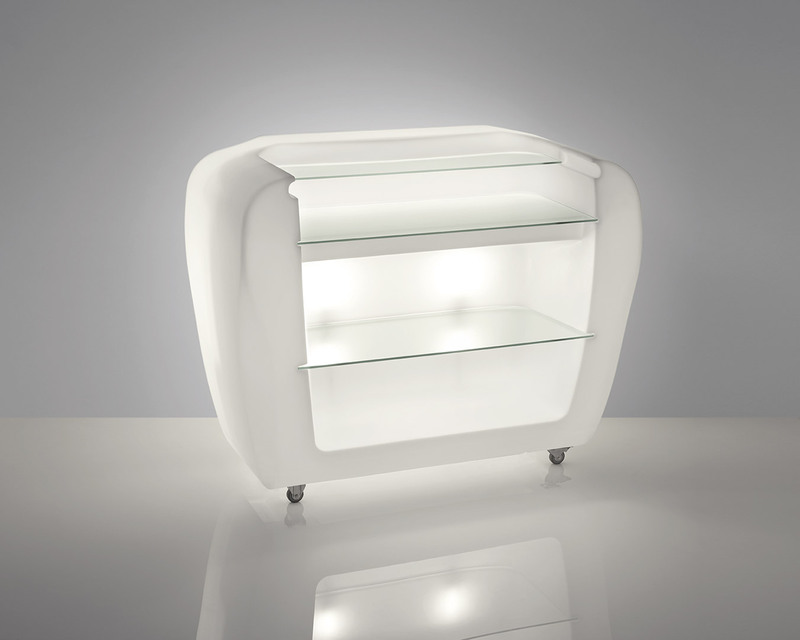 Its minimalist lines are a perfect mix between aesthetic and functionality: its rotating and lockable wheels are ideal to move it quickly and the internal shelves are useful as flat surface. 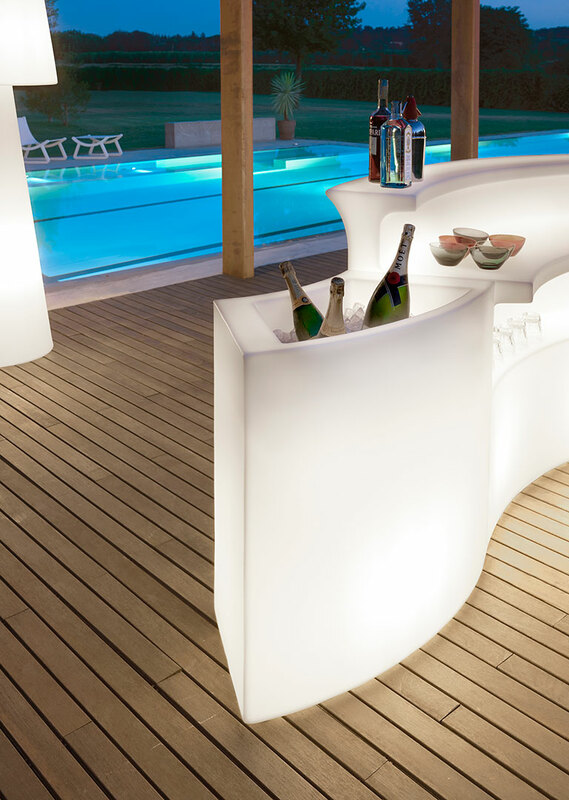 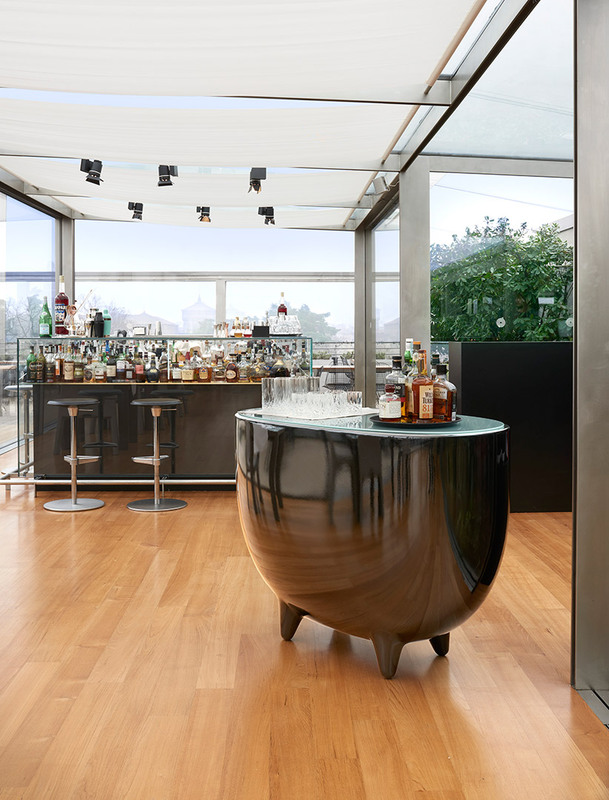 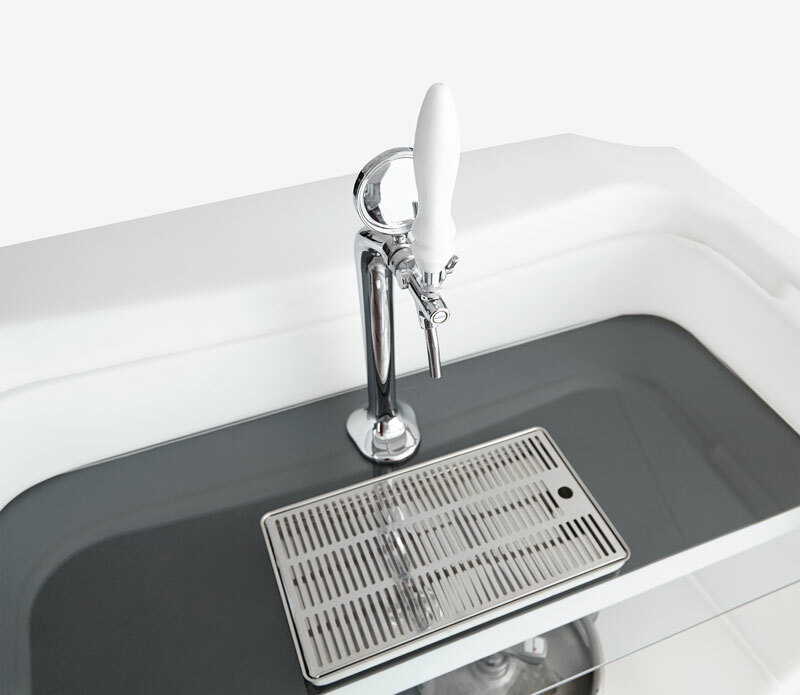 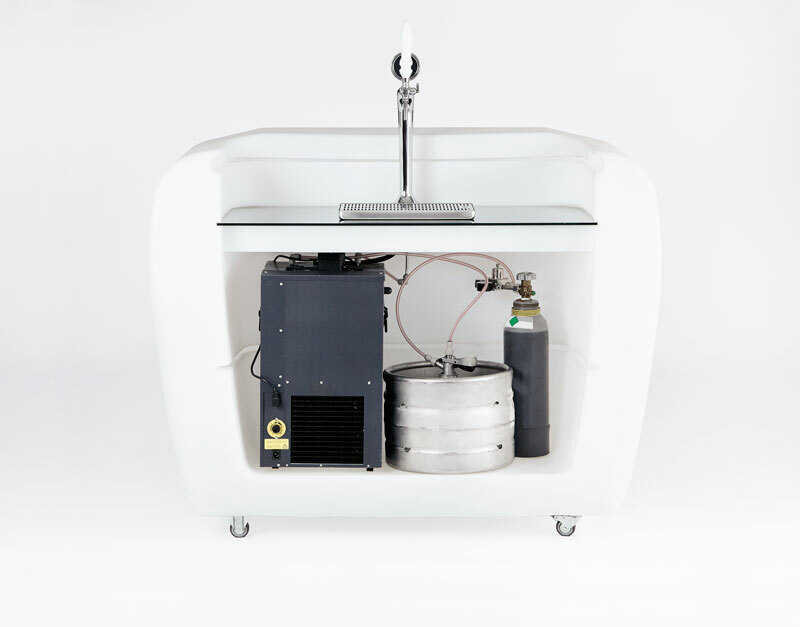 Thanks to its functionality, Roller Bar could be a bar counter (adding also a beer dispenser) or a reception desk. 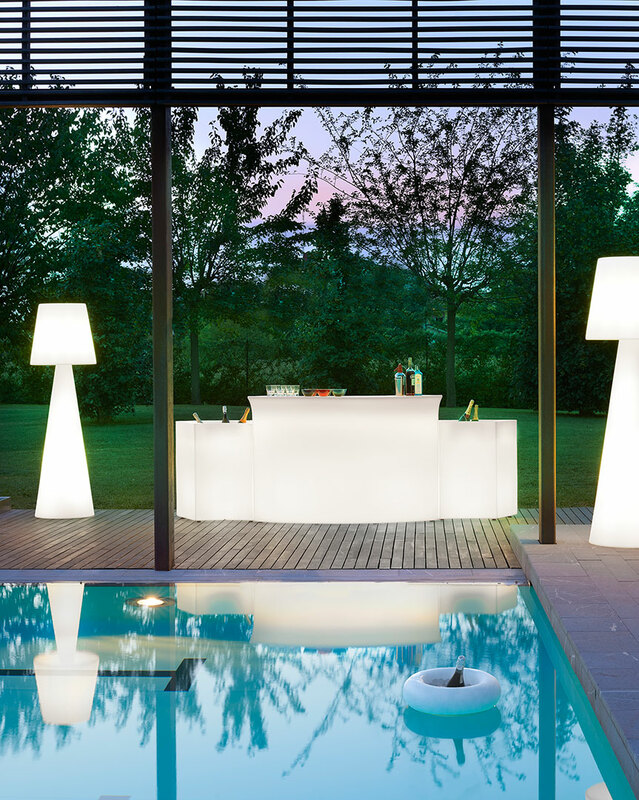 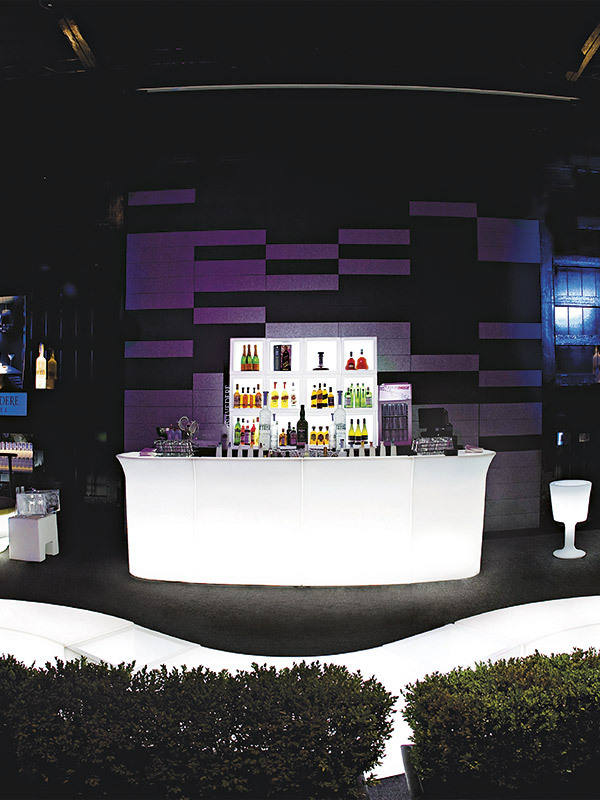 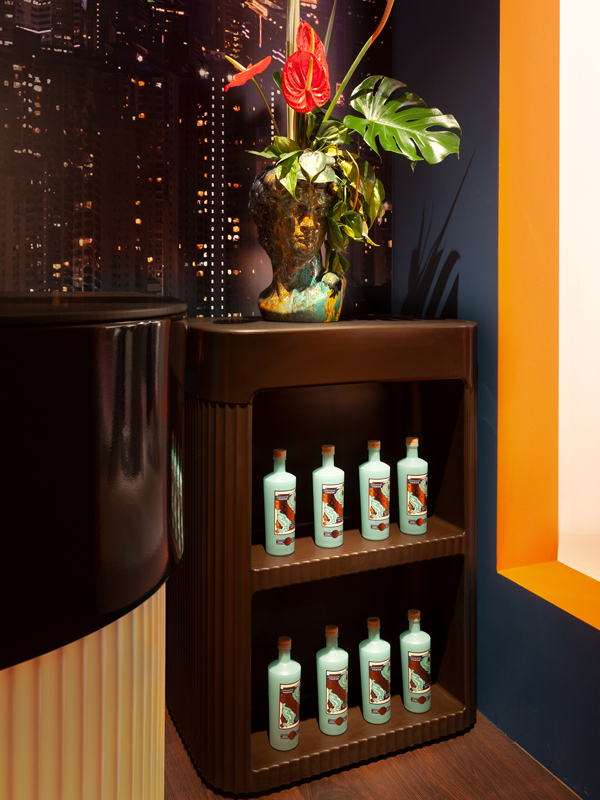 Roller Bar is a luminous corner both in indoor and outdoor areas, and it could become a unique customized product with logos or images.